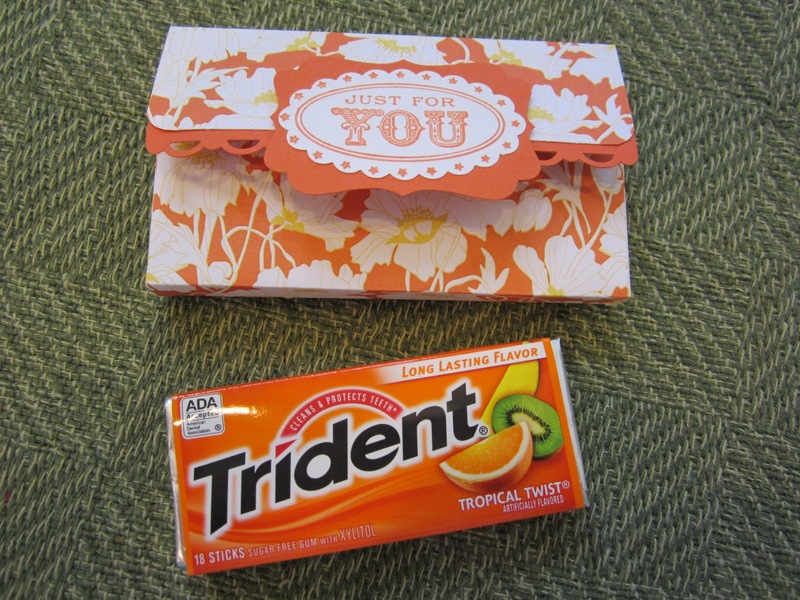 Some Trident Gum in an Adorable Box made from the Beyond The Garden DSP. So cute. 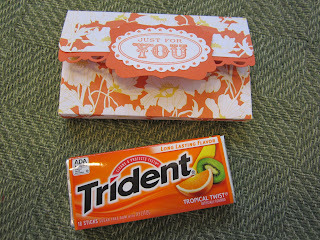 Another great purse item to show people when they ask what I do with Stampin' Up! I don't have this Box #2 Die yet but it sure is cute and having seen it, I can think of all kinds of uses for it. How about you?